Summer is brought forth with striking and gorgeous intensity through this collection of bright flowers that won’t fail to receive gasps of delight. Dusky pink lithiansus looks sensational when combined with the regal magenta blooms of dahlia flowers, and the tiny star-burst petals of purple allium add an unusual and quirky touch. 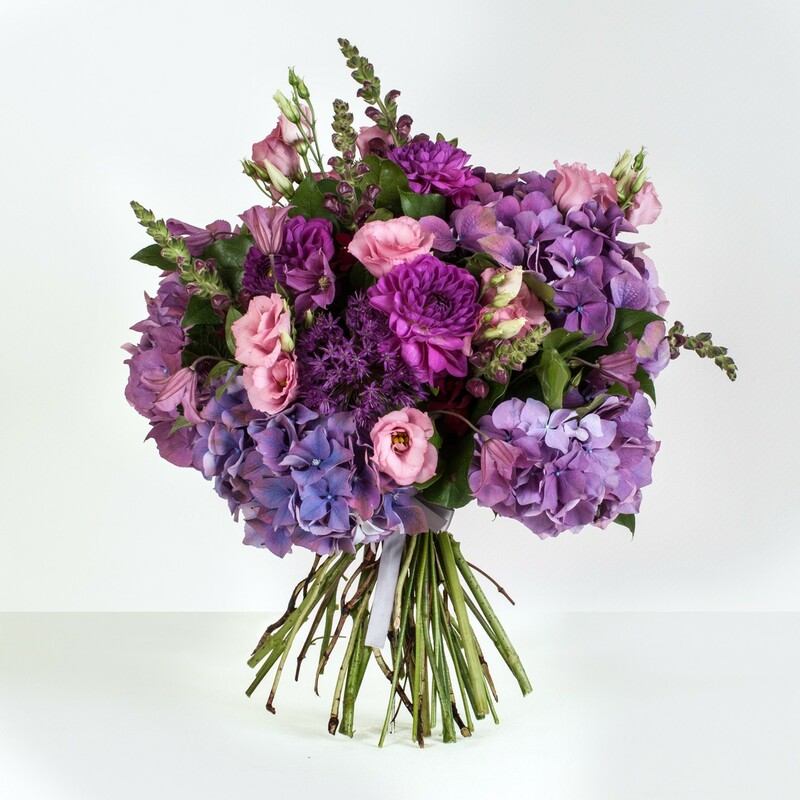 This exceptional bouquet is completed with a flourish of stunning violet hydrangea, the colours of which evoke the twilight wash of a summer night sky.